Musician, record producer and visual artist Brian Eno has joined the Institute for Innovation and Public Purpose (IIPP) as a member of its Advisory Board. After delivering the grand finale of our public lecture series, Rethinking Public Value and Public Purpose in 21st Century Capitalism, at the British Library following three months of thought-provoking talks from a variety of esteemed leaders in economics, design and architecture, Brian Eno has joined the Institute for Innovation and Public Purpose (IIPP) as a member of its Advisory Board. Brian attended the launch of the institute—just over one year ago—and has been engaged with its work ever since. In addition to being part of its first public lecture series, he also regularly attends the institute’s meetings of the Mission-Oriented Innovation and Industrial Strategy (MOIIS) commission. 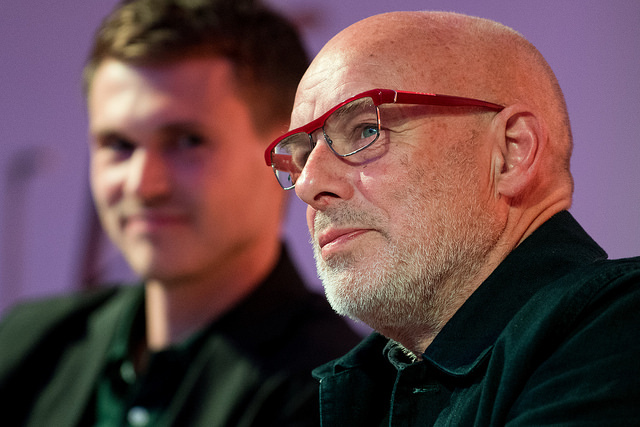 Watch: Planning for the longer now with Brian Eno and Finn Williams. Learn more about Brian Eno.